The Satanic Temple is trying to erect a Satan statue at the Arkansas State Capitol. Thankfully, there’s growing opposition to this Satan statue. God fearing Americans don’t want a Satan statue looking down on them as they go about their lives. So sign this petition. Say NO to the Satan statue! America is One Nation under God. Let’s keep it that way! To: The Honorable Mark Martin, Secretary of State Arkansas State Capitol I reject the Satan monument at the Arkansas State Capitol. Satan is the ultimate enemy of mankind. 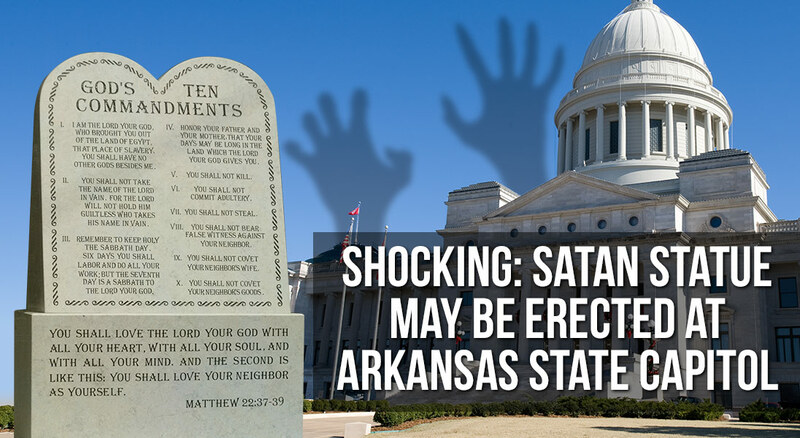 To erect a public Satan statue will bring down God’s wrath and drive away His blessings from Arkansas and America. Please don’t let this happen.